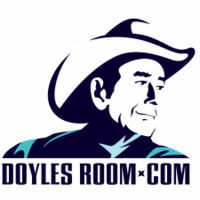 It was not long ago when the popular poker room Doyles Room was made available once again to all United States Players and since its return Doyles Room is doing everything they can to attract more players. One of the plans to attract more players is to have celebrities that enjoy playing poker come and play in some of the tournaments that are scheduled on Doyles Room. It was just announced that one celebrity is scheduled to play on March 4th and that celebrity is one half of the famous Hilton sisters and yes I am talking about the Hilton hotel heiresses. Before you actually find out which Hilton sister is going to be playing in the celebrity bounty tournament just know that this is not the first celebrity to play in one of Doyles Room bounty tournaments. In the past celebrities such as Jamie-Lynn Sigler, Kevin Connolly, and Pamela Anderson have all played in one of the celebrity bounty tournaments and now you can add Nicky Hilton to that list of celebrities. You may be sitting there thinking that Nicky Hilton can’t obviously know how to play poker because she is a Hilton, but let me tell you she is one dangerous player. In fact Nicky started playing poker almost five years ago when the poker scene started to take off and since then she has never looked back. The hotel heiress has actually been seen playing a lot at the famous Bellagio poker room in Las Vegas, NV and she has also organized many charity poker events which took place at either Bellagio or Caesars Palace in Las Vegas, NV. Now you may be wondering what exactly does a player get for knocking Nicky Hilton out of the tournament if she actually does get knocked out the tournament. Well if you are the lucky or skilled player to knock the hotel heiress out of the tournament then you will receive a deposit of $500 into your player account but the money does not stop there because if you knock out one more of the key bounties that are out there in the tournament field then you will receive a deposit of $5,000 into your player account but we are not done yet because if you knock out all three key bounties in the tournament then you will receive a nice deposit of $25,000 into your player account. The celebrity bounty tournaments can be found on Doyles Room and are scheduled to take place once every week. Happy hunting to all of you.